It’s midweek and I thought I’d try to liven things up a bit to stave off the early summer doldrums (although I have to admit that June has really flown by for me). Anyway, I’m going to give the "Name That Zoom" game another try (many thanks to irishshamrocks for playing the first round). Since we’re heading into a holiday weekend, I’m giving you an easy one. Name that zoom (use the comments feature to play along). And while we’re taking things easy, here are a couple of YouTube videos you might enjoy. The first shows the Civil War Road Show trailer being set up (man, they’re fast) and the second is from the Pennsylvania Military Museum’s World War II Revisited program on Memorial Day weekend. Happy viewing! But first, the results of National History Day 2011 are in. The national contest concluded last week in College Park, Maryland, and a Pennsylvania student, Gabe Schroeder of St. Joseph High School in Natrona Heights, won first place in the Senior Paper category. Eight other Pennsylvania entries made it to the final round and you can find the complete results here. Congratulations to all of the Commonwealth’s history competitors (results of the state contest are here), their teachers, and their families—you rock! On August 20-21, Eckley Miners’ Village will present its “Living History/Civil War Weekend.” There will be encampments, reenactors and other living history programs portraying aspects of daily life in an anthracite patch town in the 1860s. At “Civil War Day 1863” at Landis Valley Village and Farm Museum on July 9, military and civilian reenactors will bring the crossroads to life and show the impact of the war on rural communities throughout Pennsylvania. 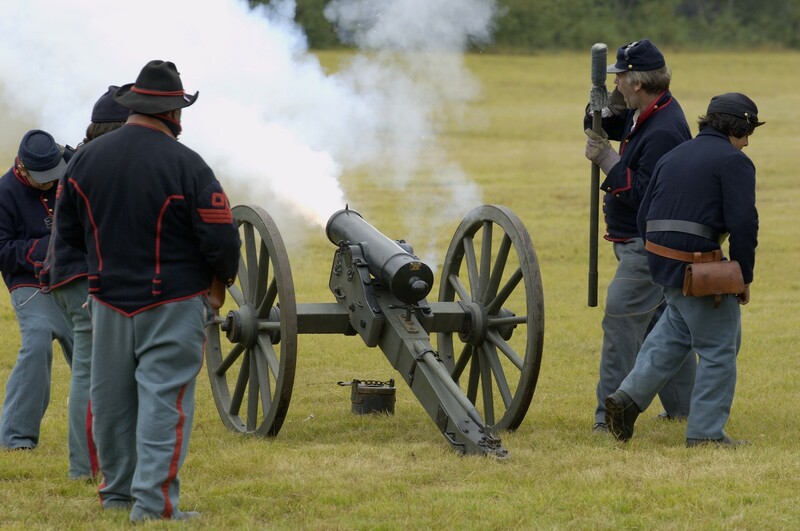 Old Economy Village’s July 16 “Civil War Day” will feature military encampments, medical demonstrations, military food preparation, civilian activities, and a band playing 19th-century music. Two upcoming lectures at the Pennsylvania Military Museum will shed light on the history of the Civil War in Pennsylvania. 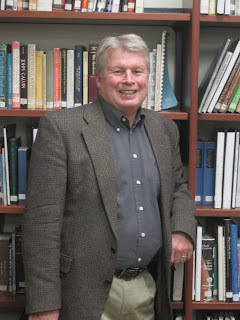 On July 5, the Central PA Civil War Roundtable presents 2nd US Cavalry reenactor Charlie Doutt and his program, “Hoofbeats and Cold Steel, A Night with the Cavalry.” As part of the Friends of PMM Speaker Series on July 27, Dr. Robert Sandow, Assoc. 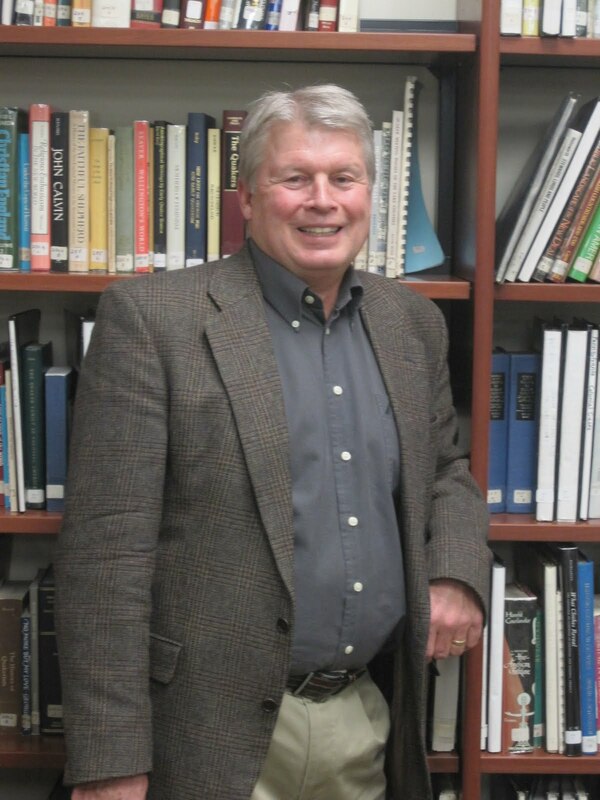 Prof. of History at Lock Haven University, will present “Deserter Country: Civil War Opposition in Pennsylvania” (this talk is also part of PA Humanities Council’s “Humanities on the Road” program). The Somerset Historical Center recently opened a new temporary exhibit, “The Civil War in Somerset County,” which features a variety of artifacts from around the county. They also organized a fashion show of civilian and military styles from the Civil War era (see photo above) and will host a visit from the Road Show, August 26-28. We’ll do another update in a couple of months. Meanwhile, feel free to post a comment with info on Civil War-related events or programs you’d like to share. 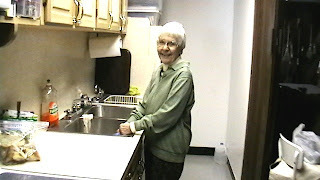 This is the final installment in a multi-part tribute to PHMC’s Volunteer of the Year honorees for 2010. 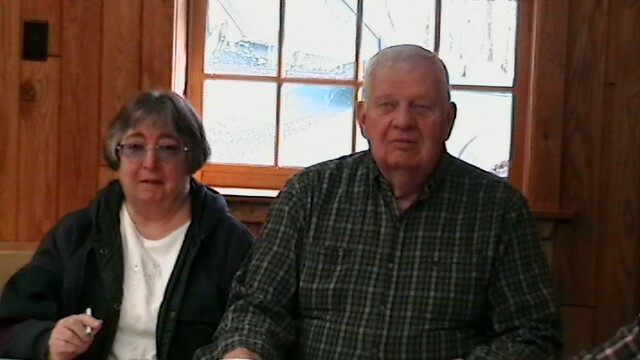 Way back at the end of April, PHMC honored a wonderful group of volunteers for service at sites on the Trails of History in 2010. Periodically, Trailheads has shared a bit of information about them (here, here, and here), and today we conclude our salute for this year (click on the name to read more info). The volunteers who participate in the work of our sites make it possible for us to serve the public in ways we could not without their help. So, once again, thank you all for your dedication and devotion. 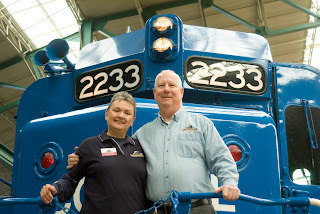 Between the two of them, Chuck and Eileen Coxson have supported just about every major program at the Railroad Museum of Pennsylvania with their time and enthusiasm. From craft projects for summer camp to guiding school tours to building projects in the education center (and lots more), they have shared their energy with visitors young and older. At the Somerset Historical Center, Roy Phillips has made a significant contribution to the crafts program through his demonstration of tinsmithing, which he initially studied as part of Somerset’s apprenticeship program. He continues to develop his skills while also assisting with school groups, distance learning programs, and anything else that needs doing. 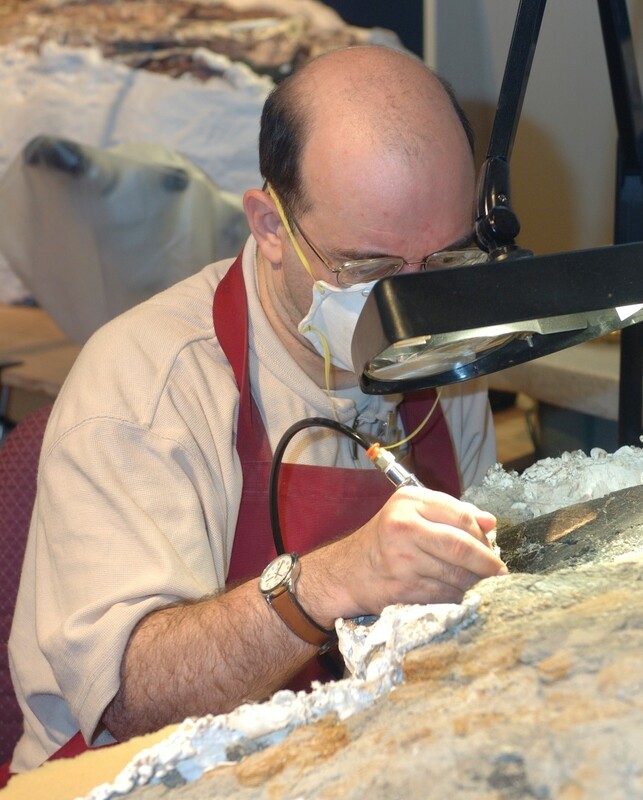 Kevin Dermody, a devoted volunteer in the State Museum of Pennsylvania’s Dino Lab, made news this spring when a fossil he uncovered in the lab in 2004 was confirmed as a new dinosaur. 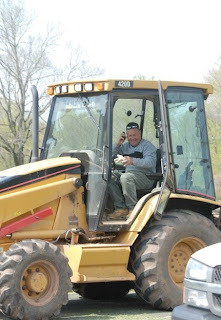 As co-chair of the Grounds Committee at Washington Crossing Historic Park, Rudy Blair helps to maintain the park’s more than 500 acres and 50 buildings. His efforts have led to the reclamation of Delaware River viewpoints and park areas that had become overgrown and inaccessible. 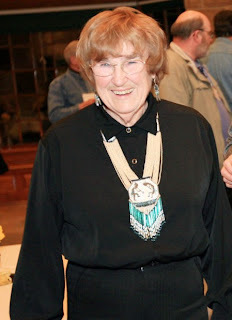 Each site on the Trails of History recognizes a Volunteer of the Year. In addition, nominations are received for an Outstanding Service Award to honor those who have had a long-term, sustained commitment to a site. 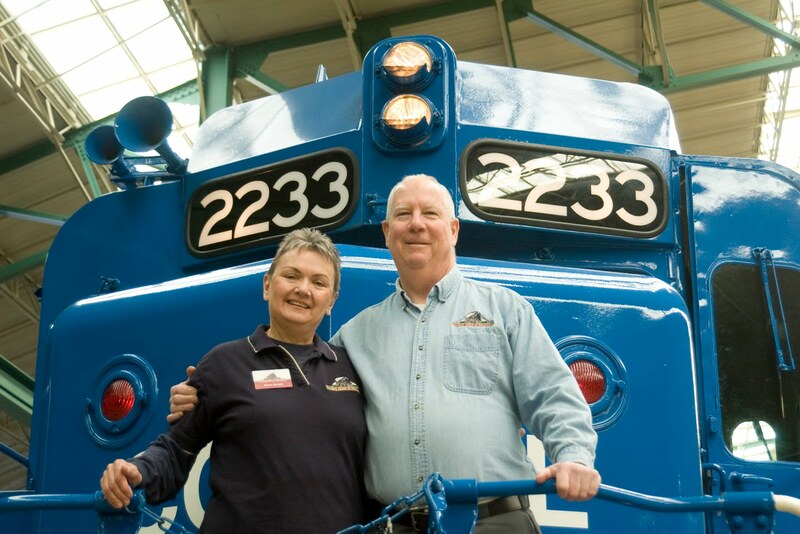 This year, Gloria Harris was recognized for her 38 years of service to the Pennsylvania Lumber Museum. Inaugurated last year, the Chairman’s Special Award recognizes volunteer service in the area of fundraising. For her work at Bushy Run Battlefield, which has included raising money to secure additional portions of the battlefield and to renovate the orientation theater in the visitor center, this year’s recipient is Jean Loughry. Thank you again to all of our volunteers. We look forward to recognizing next year’s honorees. This week’s guest blogger is Linda Bolla of the Erie Maritime Museum and Flagship Niagara. 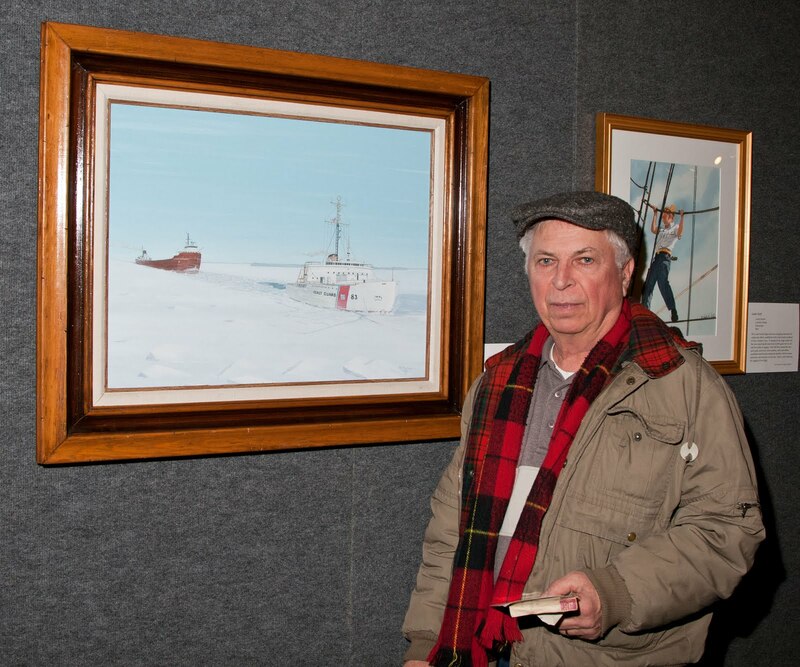 Thanks to Peter Repoff, John Baker, and the US Coast Guard Art Program for the images. 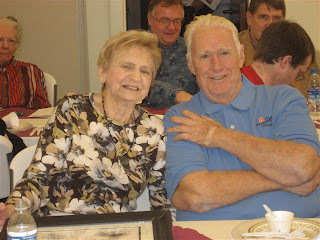 As a proud USCG veteran, Pete Repoff remains interested in any news regarding the Coast Guard, so at the opening reception for the Coast Guard Art Program exhibit last month, Pete and his wife, Carol, were among the first guests to arrive. He came hoping that someone in the Erie Maritime Museum could give him information about the current status of a ship he had served on, too. Pete joined the United States Coast Guard in January, 1956. After graduating from Boot Camp, he was stationed at the USCG Station in Buffalo, NY, then transferred to Old Fort Niagara at Youngstown, NY. He went to school for Damage Control later that year, and in November, was assigned to USCG Cutter Mackinaw (WAGB-83). 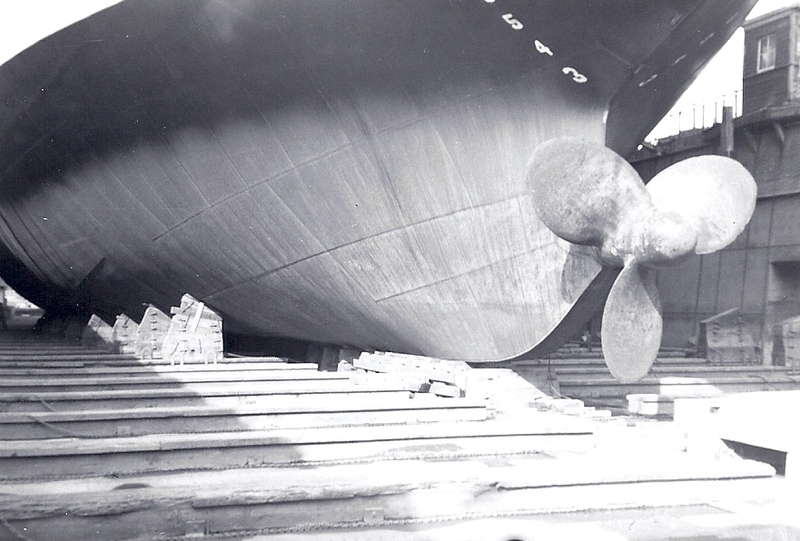 When first commissioned in 1944, the Mackinaw was the most powerful icebreaker in the world. 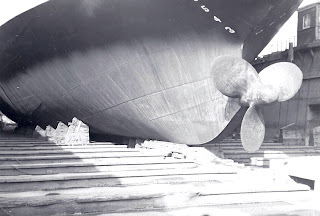 The ship had one screw at the bow, and two screws at the stern. If the cutter had difficulty moving forward through the ice, it could reverse and then thrust forward again, using both rear screws. 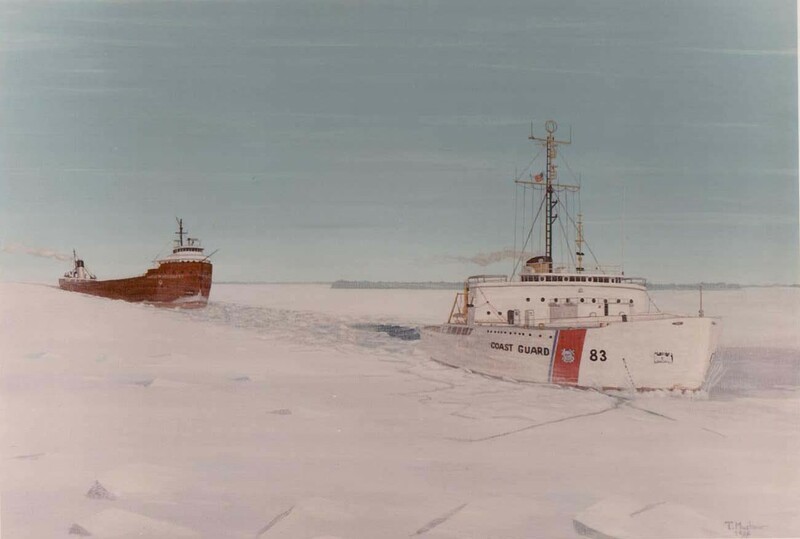 At the conclusion of her career in 2006, the Mighty Mack was still the largest United States Coast Guard Cutter assigned to the Great Lakes, and set the standards by which other icebreakers are measured. 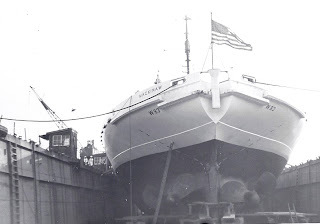 “Old Mack” was succeeded by another Mackinaw (WLBB-30), and is now the centerpiece of the Icebreaker Mackinaw Maritime Museum in Michigan. 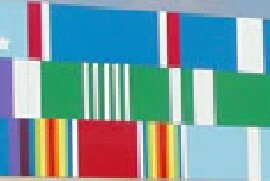 Pete was advanced to Third Class Damage Control Man (Third Class Petty Officer) in 1957. In 1958-59 he was reassigned to the Cutter Kukui (W-186) at the USCG Station on Sand Island, Honolulu, HI. 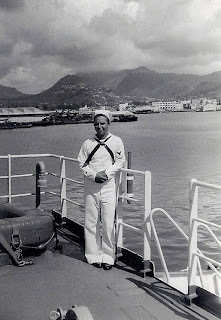 His assignment on this maintenance ship had him touring throughout the Pacific islands, including Okinawa, Saipan, Guam, Manila, and Hong Kong, to name just a few. His service on Sand Island merited another promotion, and found him supervising 6 -8 men as Damage Control Man Second Class. In January 1960, he was honorably discharged from the U. S. Coast Guard in Cleveland, OH. Pete was looking for information about the Mackinaw Museum in Michigan when he arrived at the Erie Maritime Museum and was absolutely delighted to find that one of the paintings in the current exhibit shows his Cutter Mackinaw in action, cutting a channel through the ice on the Great Lakes as a grain ship follows close behind. The Museum staff followed up with Pete and Carol Repoff after the exhibit, sharing information about the Mighty Mack’s new role as a museum ship, and collecting information about his USCG service for this article. “On the Great Lakes: The Coast Guard in Action” remains on exhibit in the Erie Maritime Museum West Wing Gallery through September 16, 2011. 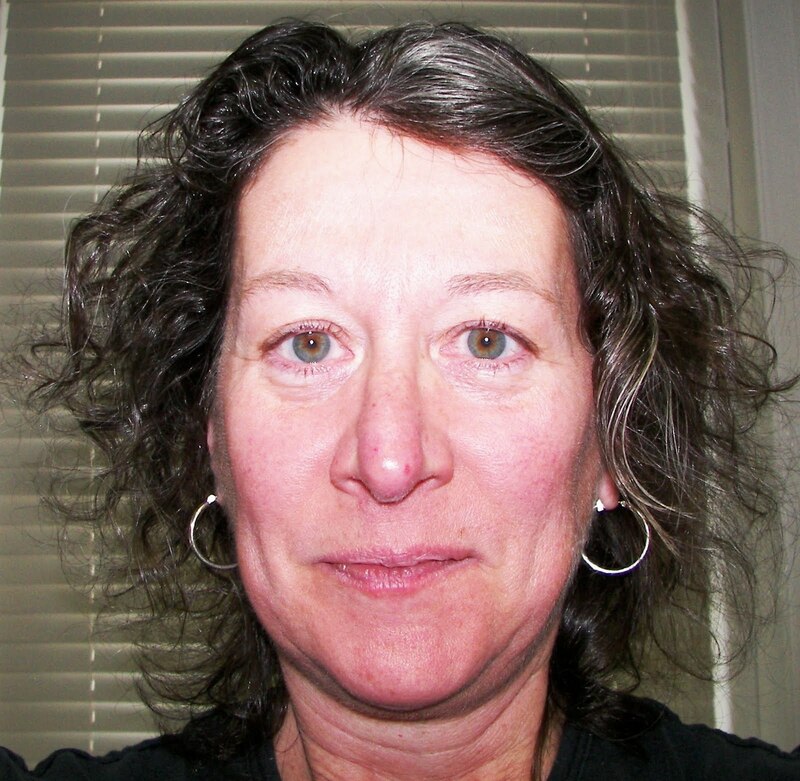 This is part three in a multi-part tribute to PHMC’s Volunteer of the Year honorees. On April 30, we honored volunteers of the year from all of the sites on the Trails of History at a program and lunch at the State Museum of Pennsylvania. In two previous blog posts, we introduced you to a dozen of this year’s award recipients; this week we feature six more (click on the name to read a fuller description). I continue to be amazed at and grateful for the time and energy these wonderful people contribute to our collective work. Thank you again. 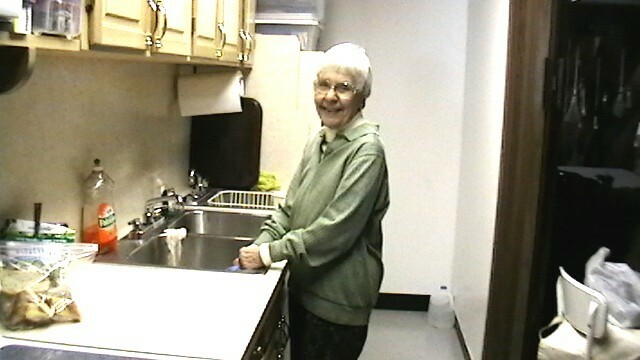 At Joseph Priestley House, board member Cindy Inkrote stepped in to help keep the site open to the public after budget cuts in 2009. In addition to opening and closing the property, she is also on call for emergencies and works both behind the scenes and with the public. 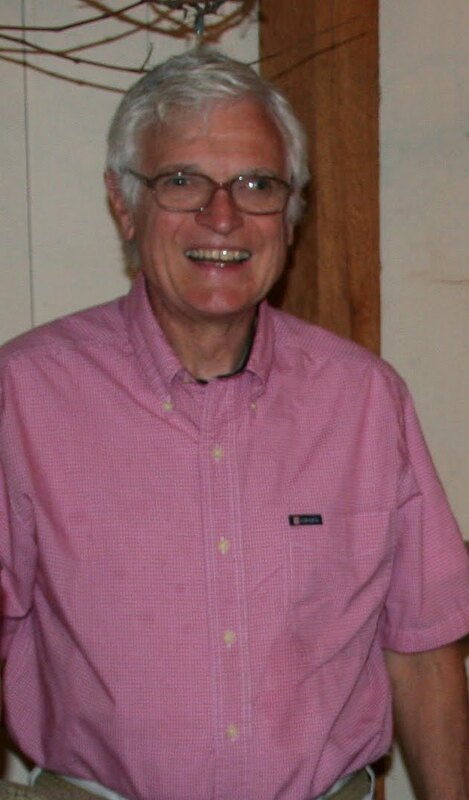 Russell Eaton has worked for several years to organize Landis Valley Village and Farm Museum’s postcard collection, one of the museum’s largest artifact groups. Russ has curated several themed exhibits of the collection and has helped to identify postcards with Landis Family correspondence among the vast array. A volunteer at Old Economy Village since 2005, John Voss contributes a great deal of time in the maintenance shop, stopping by at least weekly to see what needs to be done. His cooking skills have also benefited the staff and volunteers, both as part of public programs, but also in the brownies he shares on his frequent visits. As President of the Pennsbury Society, Michael Hall has devoted his attention to board recruitment and development at Pennsbury Manor. He has worked with the local community and other museums to find resources and direct them in support of the site’s mission. 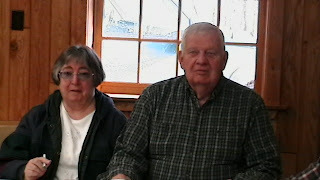 Jean and Pete Folk work together and separately in a variety of ways to support the Pennsylvania Lumber Museum. From chairing the spring and fall Heritage Days shows to greeting visitors at the front desk, they show their dedication to the museum and set an example for others. At the Pennsylvania Military Museum, Lucille Fuller found an outlet for her scrapbooking and sewing skills, helping to organize the site history files and mending flags, clothing, and other fabrics. 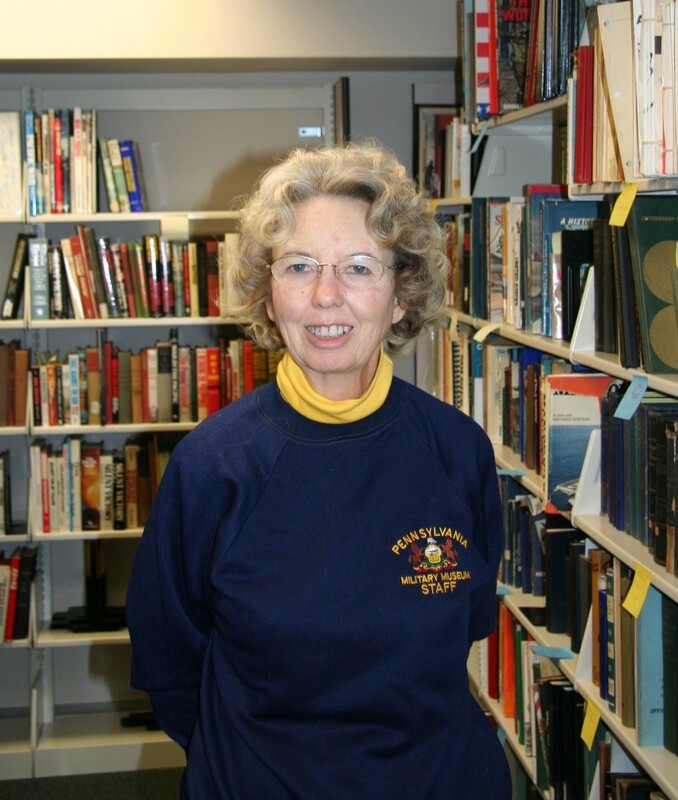 Her willingness to turn her hobby interests into a volunteer commitment are greatly appreciated. In two weeks, we’ll wrap up our salute to volunteers for this year.